So Angel is finally officially back in the Dark Horse stable. Depending on whom you ask, that’s either great news or the worst thing ever. However you might feel about rival publishing houses, though, the most important question remains – is this first issue any good? It’s so good, in fact, that it easily outshines DC’s huge new 52 event happening today. Or it should. With a strong story, accurate characterization, some of the best art I’ve seen on any Whedon book, and a story that’s loaded with potential, Angel and Faith #1 hits the ground running and should make even the most jaded fans hungry for more. For those worrying about the loss of Giles, it’s nice to start with a flashback to a time before his passing. Facing off against a possessed little girl, Giles does exactly what you’d expect him to do – set aside his own safety to protect the innocent. He succeeds, but at a great personal price. In locking away a vicious demon, he sacrificed a part of himself. 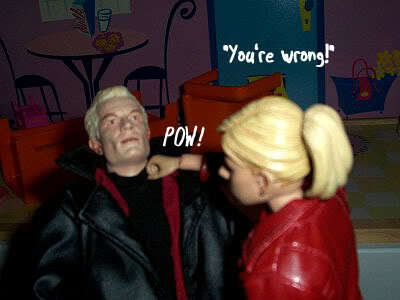 Specifically, Giles loses the memory of falling in love with Jenny Calendar. Gage and Isaacs really capture Giles perfectly here. His behavior is totally believable and, in removing this key part of Giles personal history, we get an interesting explanation as to why Giles hasn’t been quite himself these last few years. From there on out, it’s all about our title characters. 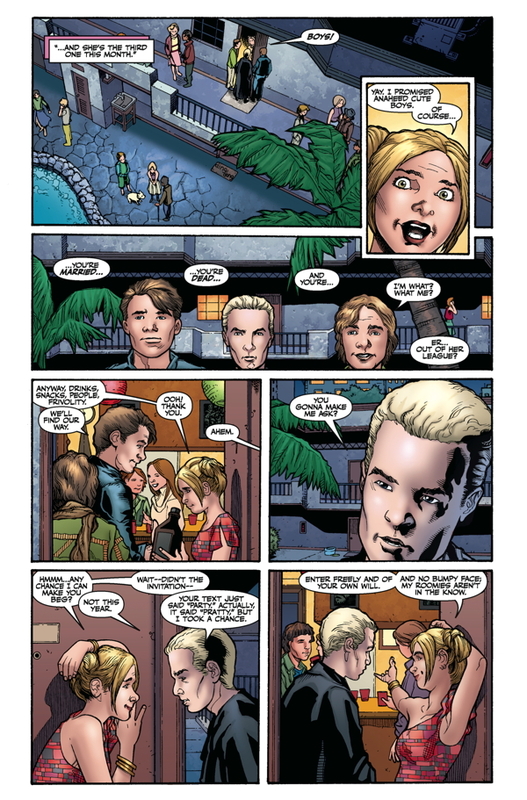 Angel and Faith return to that same little girl and finish what Giles started, which they succeed at handily. 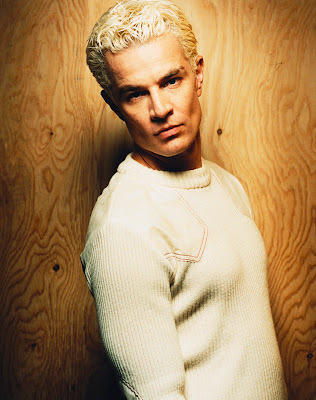 In fact, it seems that a big element to Angel’s narrative this season will be his need to pick up where Giles left off. 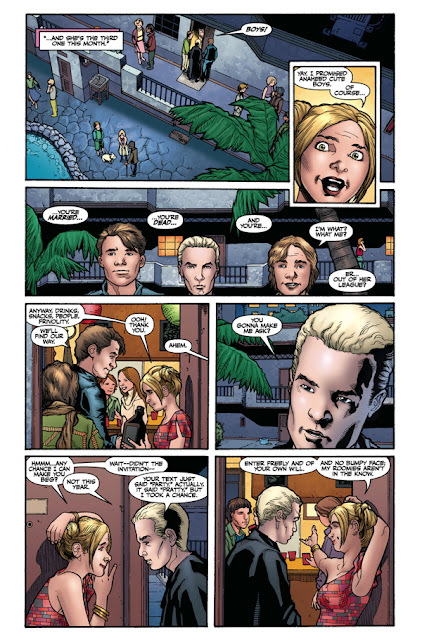 Faith, who you might recall received essentially all of Giles’s earthly possessions, also feels the pull to continue the Watcher’s good work. 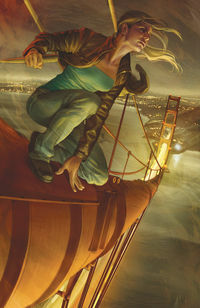 Faith and Angel are two characters who seemed destined to be under the same banner. They’re both into redemption but their best intentions also have a tendency to pave them straight to hell. They’ve got a shared past, one that has been evolving towards this place for a long time. They trust each other both to not trust each other and that makes for an interesting dynamic that’s not always safe or predictable. In addition to all that, we get some new villains in the form of Pearl and Nash, two demons whose strength is derived from primal emotions, who used to work for Angel back when he was Twilight. We’ve got Nadia, a former member of the slayer army. We’ve got an ambiguous but probably evil Whistler who still seems bent on bringing about some kind of New World Order. We even get mention of IDW’s Angel: After the Fall. With a final line that will leave fans arguing for the next month, we’re already in very murky moral territory. That’s exactly where Faith and Angel ought to live. 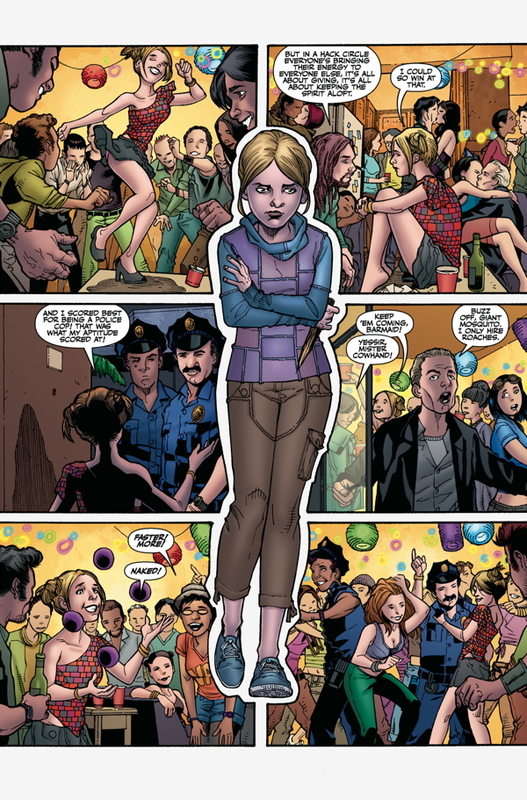 Christos Gage and Rebekah Isaacs have crafted a near perfect first issue. The only flaw, as some have pointed out, is the need for a better understanding of modern day London. Sounds like a perfect excuse to renew the old passport and take a trip across the pond if ever we heard one. That’s what we think. How about you? 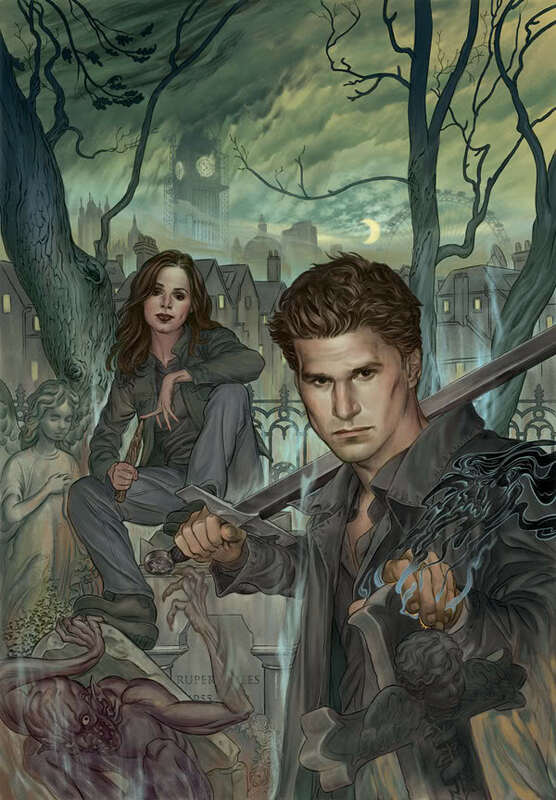 Dark Horse is doing a new series of Guest Blog posts over on their site and we were very honored to be the first of hopefully many contributions about looking forward to Buffy Season 9. What exactly are we most excited about? Well we won't spoil it here, this tale is for another blog for once. So mosey on over and check it out here. OK, here we go. 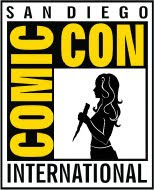 Marvel's turn is up and cast and crew are about to be on at Disney's D23 Expo in Anaheim, Cali! Sorry we're not there ourselves to film and live blog...but click the link FB below to experience the official live blogging, including all the juicy Spoilers. We'll keep updating this post as well (keeping it mostly Spoiler-free). - They started by showing a montage of the history of the Marvel Cinematic Universe, from Iron Man to Thor, Cap and Hulk! 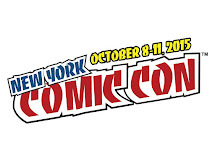 - Cast that is in attendance: RDJ, Chris Hemsworth, Jeremy Renner, ScarJo, Cobie Smulders, Tom Hiddleston! 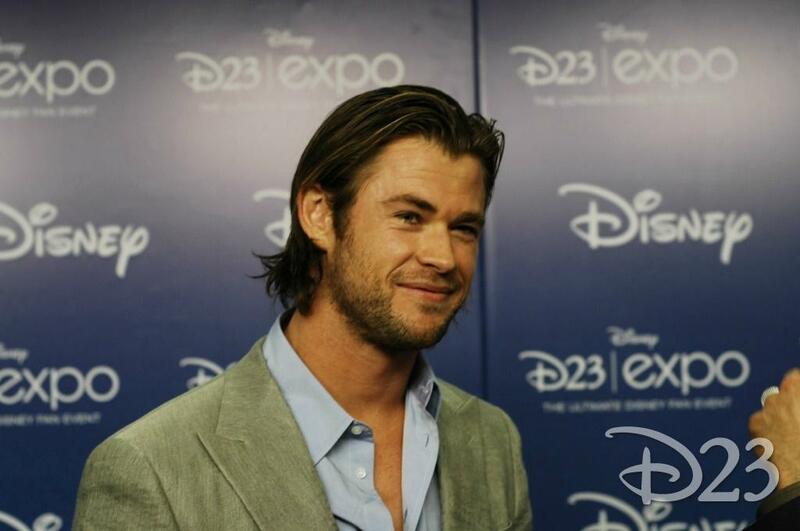 Superfine Chris Hemsworth on the red carpet at today's D23 Expo! 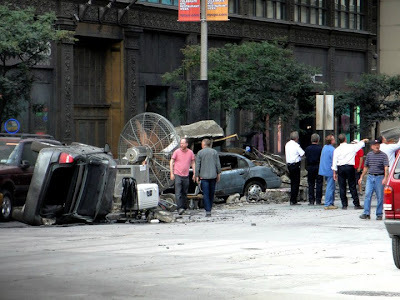 Long time tweep @thegingerpire has been visiting the set of The Avengers in Cleveland, Ohio and shared some pics from the set! It's fake New York and actually really doesn't look like NYC, but I'm sure the magic of hollywood will make it work. Check out Joss below in action! Link to the full album and the rest of the "smash-em-up" here. I'm thinking there are some spoilers in there too, for the hard-core zmiggies out there. Since it's a month to the day that we arrived in San Diego, it seems like a good time to wrap up the wrap-up! 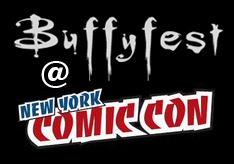 So we're back in our usual black Buffyfest outfit. We want to hugely thank Ivan, as always, for lending his time, fantastic camera skills and editing. And thanks to Ryan too for helping out when we lost Bits this year. We appreciate you guys! To end the fun, here are some photos from this year's festivities! The Whedonverse and the Marvelverse may collide once again! 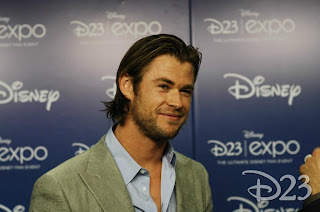 Disney and Marvel Studios are moving forward with Thor 2, which is already scheduled for release on July 26, 2013. Thor Director Kenneth Branagh won't be directing the sequel, but it looks like they may have found a Whedoney replacement! Rumor has it that Game of Thrones director Brian Kirk is the current frontrunner to direct the sequel, but also on this list us our very own Buffy and Angel writer and Cabin In The Woods co-writer/director: Drew Goddard! Surely Joss Whedon will do everything he can to get his boy the job. And Marvel might listen since they're trusting Joss to take care of their reportedly $260 million baby, The Avengers! Plus, he's cute too, no? Today, the first little tidbit of Season 9 is available through the Dark Horse Digital store, free of charge care of a special code that you can only get through your local comic shop. 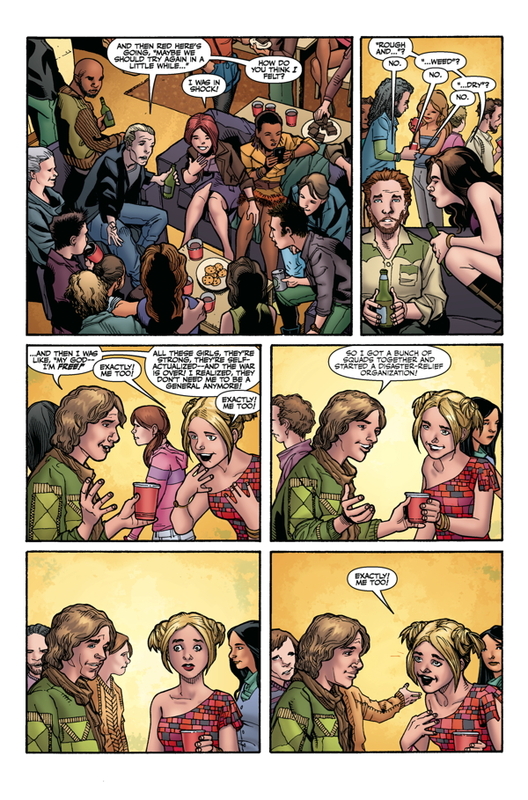 The story is written by Jane Espenson and drawn by Georges Jeanty, and it gives us a little slice of Spike's life on board that ship with the insects as seen at the end of Season 8, and in Brian Lynch's Spike series at IDW. Follow this link to a list of stores participating in the promo, or talk to you retailer about signing on now to get a codes!